Who are we? We say we are the body of Christ, but why is there so much division? Why is the prayer of Jesus, "that we all may be one," not answered? Why are there so many Christians that seem to be disappointed, or discouraged, and no longer attend church regularly, even though they still love the Lord, and have a heart for the things of God? Also, along with not seeing the unity in the church, why are we not seeing God's power, and glory among us? We, who are under a far greater covenant through the blood of Christ, are still not seeing the miracles that the Old Testament prophets functioned under, through the blood covenant of animals. Why is this? If you have one or more of these questions, then the book you are holding in your hands will answer them, and give you understanding. Jerry Morin, married to wife Jane, is a Metis fisherman on Great Slave Lake, Northwest Territories Canada, who has always had one prayer over the years, and that is, "Lord, show me the truth. I don't want to know and understand your word from my own reasoning, and understanding, or from the reasoning, understanding, and interpretation of man. But I want to know and understand your word the way you meant it to be understood and taught. Please Lord, show me the truth." Then on May 15th 16th and 17th of 2001, Jerry had an encounter with the Lord, at which time he spoke with Jesus face to face. 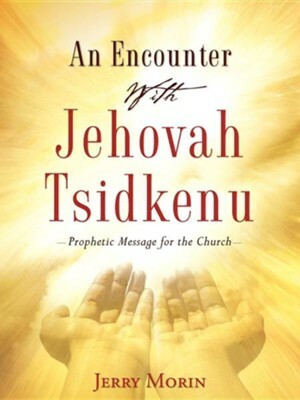 It was then the Lord began to reveal the truth to him, and this book is a result of "An Encounter With Jehovah Tsidkenu"
I'm the author/artist and I want to review An Encounter with Jehovah Tsidkenu.